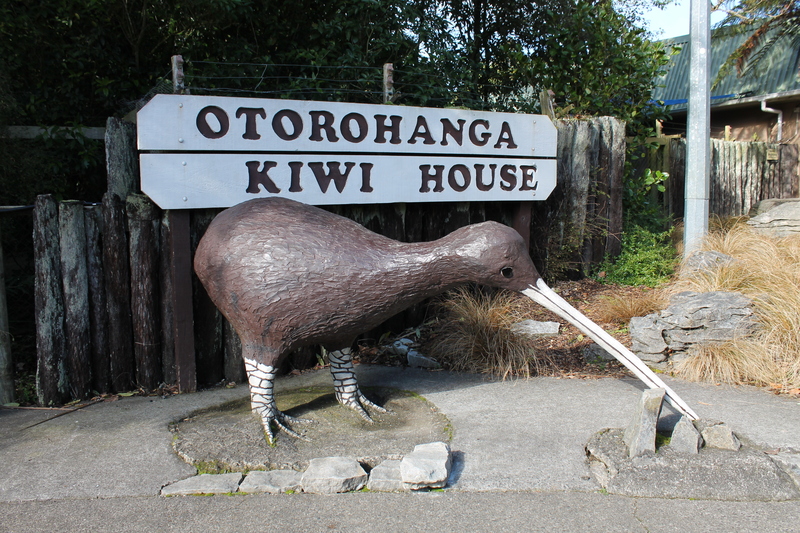 Posted on July 25, 2013 by E.M.
We first stopped at Otorohanga near Waitomo to see the endangered kiwi bird. They are flightless birds that only exist in New Zealand and are hard to spot because they sleep up to 20 hours a day and come out only at night, but at this kiwi house they have two little ones in special enclosures and, lucky me, they were awake when I got there. I couldn’t take any pictures because it was too dark, but they have a big body and tiny heads with a long beak. Very cute, of course. In Waitomo we went to the Ruakuri caves to see a beautiful underworld of stalagmites and stalactites. My dad is a geologist, so I’ve been to many caves in my lifetime, but this one was by far the best. Inside them you can find glowworms that look just like glitter on the dark cave ceilings. They are not really worms, but fly larva, (yes, maggots advertised as worms so it doesn’t sound too gross). They also have black water rafting which is pretty much just cave tubing at a faster pace. Oi filha, nem preciso perguntar se estás gostando, as fotos e a sua narração já dizem tudo. Parabéns e continue desfrutando das maravilhas que o senhor fez para nós. Beijos da mami que te ama. Birds that sleep up to 20 hours a day? That sounds like Elsie!